Bhai Gurmukh Singh Aurdeesa dedication towards his murshad!! Three kinds of Bhramgyanis(Sants,Mahatama, Mahapursh)...! 9 Signs of an Vahiguroo's Bhagat. 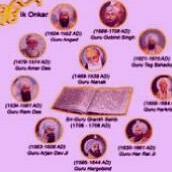 Very easy to say "Sat Bachan"
What does Guru Granth Sahib Ji say about His Dear Saints ?